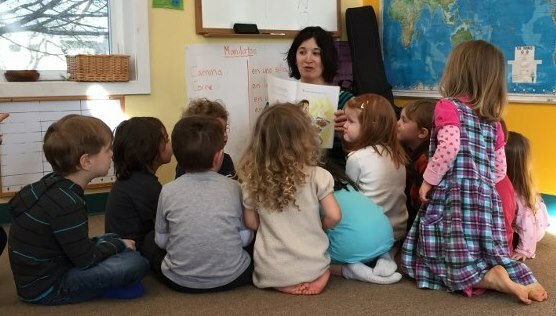 Throughout the year, our youngest group enjoys a class focusing on Shabbat and Jewish holidays; an introduction to prayer and God; and familiarity with Jewish terms such as Torah, Tzedakah, and Mitzvot. Activities include story time, music, simple art projects, and free play indoors and out. As the young child learns through imitation, parents will join and participate along with their children during the class. The class, open to children ages 3 to 5, meets about 15 times during the school year, on selected Sundays from 10 a.m. to noon.